June Holley, author of “The Network Weaver Handbook”, was the guest on a recent #ideachat , hosted by @blogbrevity, where she conducted a spirited and vigorous discussion on the role of the network connector and collaborator whom she describes as a network weaver. June believes that this is something we all do, often without realizing it. The skills can be learned and improved, it’s all about how we are aware of and relate to each other. Ultimately we should be able to transform the world we live in. To a large degree this is true especially in small to medium sized communities. However scaling to the immensity of the Social Media Universe requires those skills to be refined, amplified and extended to the point where the role is highly specialized and potentially very much in demand. The chart above is an attempt to summarize the collective input from the participants in #ideachat, none of whom contested the notion that network weaving was learn-able, necessary or trans-formative. Indeed the flow of positive thinking provided a tsunami of skills and activities that were deemed necessary network weaver attributes. The receptor phase of weaving represents the intake of content, context and resources. This includes searches and information gathered from multiple sources in monitoring and participating in community conversations and chats. Acquisition is equivalent to sourcing in a supply chain and represents the raw intelligence needed to fuel productivity. The review phase is the first stage of refining the raw intelligence. Analysis is the primary activity and is applied to understanding the meaning, authenticity and importance of content and resource. The second stage of refinement is curation, taking the analyzed information and making it transparent to the served communities and the world at large. The refinement includes categorization (ie topics), classification, (eg value and relevancy) and commentary. The third stage of refinement is associating resources with communities, content or most importantly with each other, understanding how to apply the relevancy of information and resources to each other. The third stage is also the mapping stage of the process, and is vital to the success of the network weaver. As the weaver’s reach extends to national or even global scale other maps from trusted weavers can be incorporate into the weaver’s sphere of connectedness. Construction is the implementation phase of network weaving. It is establishing connections based on the refinement process, closing the triangle as June Holley describes it, between resources, communities and other network weavers. Here the weaver is more than just a connector they are catalysts to action and innovation, whether directly contributing or standing back and monitoring the resulting activity. 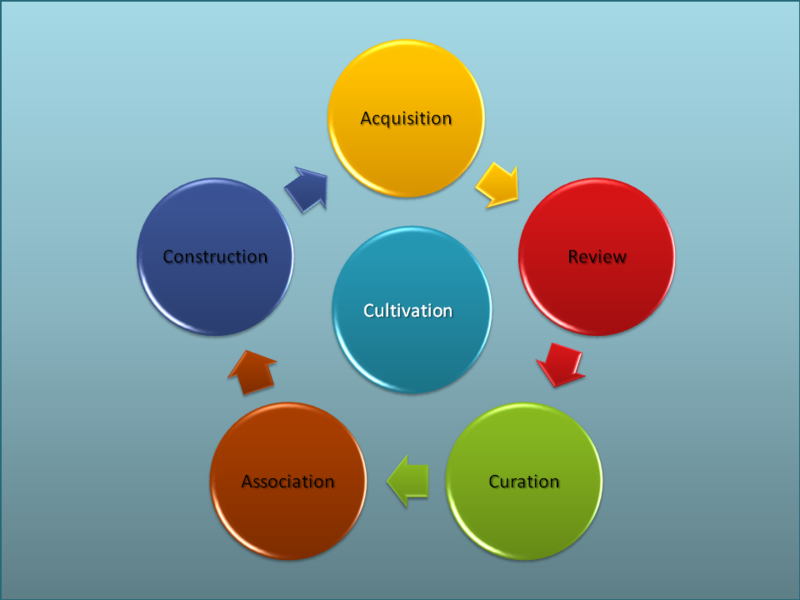 Central to all these activities and processes is the governing principle of Cultivation. This is the set of nurturing skills that separates the good network weavers from the great ones. Cultivation is farming or husbandry in its highest form, not just building connections but feeding them, nurturing them, strengthening them and understanding their needs. It means being endlessly curious, constantly vigilant and forever questioning to ensure that the woven networks are as efficient and healthy as possible. It is within nearly everyone’s reach to acquire, analyze and curate information on the social network; billions of Tweets, blogs, circles and walls are testimony to these skills being learned and practiced on a daily basis. Everyone has the capability to imitate the African Weaver bird and weave their own network of resource and content. But it takes special skills to associate, construct and maintain vast networks of content and resource. 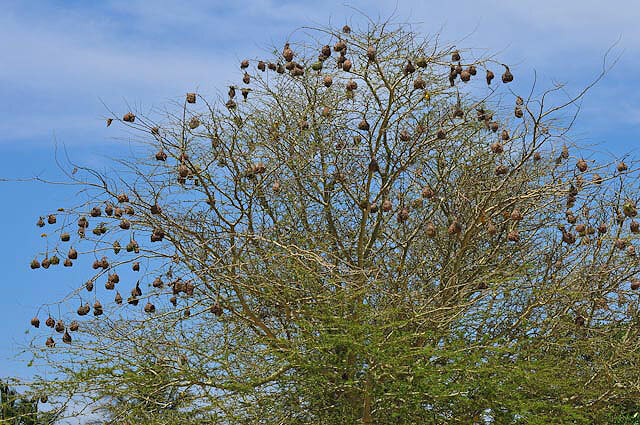 It takes a proficient weaver to connect each nest in the tree, and a master weaver to connect all trees within a region, all regions within a country and so on across the language and geographic divides that impede global connectivity. Niche Social Platforms – Possible Fragmentation?